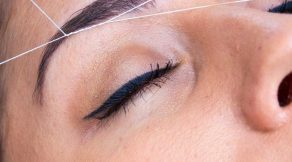 There are times when women gets frustrated with their hair growth on the neck, shaving it is never the right option and tweezing can take too much time. If you’re finding yourself frustrated by the excess hair on the cheek, take a moment before reaching for the razor or tweezer. 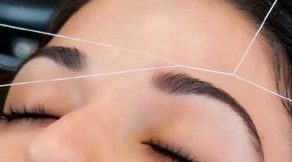 Threading is a very old method of getting rid of chin hair. It removes the chin hair easily by damaging the hair follicles and limiting the re-growth of the hair.